Very nice big ground floor bungalow with a big front garden ( tiled) and big terrace. 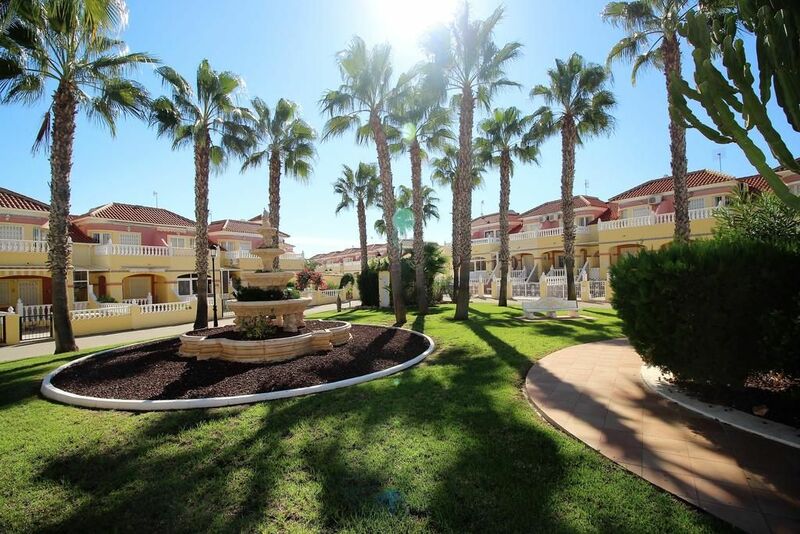 It is situated in a quiet residencial area right next to the big shopping area La Zenia Boulevard. The property has 2 bedrooms, a full bath and a toilet. Downstairs you have a big living room with wifi and flat screen TV, dining area and fully equipped kitchen. Next to it you have an utility space. On the top floor you find the 2 bed rooms and the bath. In front of the double bed room you have a wonderful big terrace. The urbanisation has a very nice garden and a big outdoor pool. La Zenia Boulevard is 1 km away offering a big variety of shops, bars and restaurants. Granito is in the middle of a quiet residencial area, very close to the big shopping area of La Zenia Boulevard. The bungalow Granito is situated close to the coastline and the beautiful Cala de las Estacas is the closest beach to it. The bungalow Granito is situated close to the coastline and the beautiful Cala de las Estacas is the closest beach to it.Granito is in the middle of a quiet residencial area, very close to the big shopping area of La Zenia Boulevard.